Blessed Mother Mary Appears at Local Shrine - BFL 100 - BLIND FAITH LIVE ! Real People. Real Miracles.BLIND FAITH LIVE ! Real People. Real Miracles. 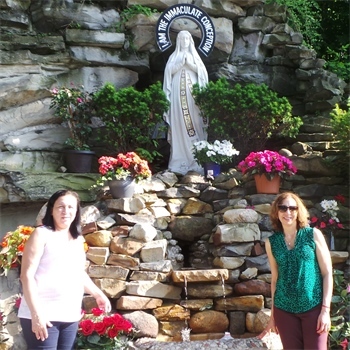 Mary appeared at Our Lady of Lourdes Shrine in Euclid, Ohio on Saturday, June 13, 2015. 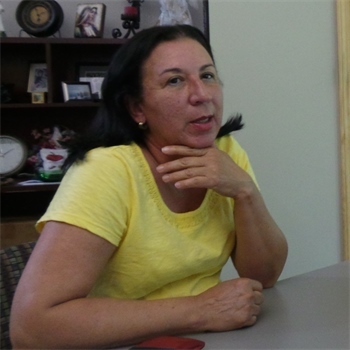 A visionary, Jesusita Quilotte, delivers Mary’s messages on this podcast, Episode 100. One of the messages was specifically for Philip Keller of Blind Faith Live, a website and podcast. Jesusita also saw Mary, Angels, and the Holy Spirit shortly before her shrine experience, in the office of Dr. Issam Nemeh in Westlake, Ohio. Dr. Nemeh explains the symbolism in Jesusita’s experience. This entry was posted in Dr. Issam Nemeh, Episodes, Philip Keller, Trapper Jack and tagged Blessed Mother, Our Lady of Lourdes Shrine Euclid Ohio, Prophecy, St. Bernadette by Philip Keller. Bookmark the permalink. This episode, BFL 100, and the photo of Mother Mary in the grotto, came up when I recently did a Google search on visionaries of the Blessed Mother in America. It’s amazing to me because I was at “Our Lady of Lourdes Shrine” in Euclid just a few months after the appearance of Mary over there. I flew up from Florida, where I’ve lived for a number of years. I remember going to this shrine with my Mom as I was growing up in Northeastern Ohio. When I was there, in October, I prayed for my family and for my boyfriend, Tom, who I texted pictures of the Blessed Grotto with Mary, the day I was there. The fact that you posted this episode, on June 16th, is amazing to me because that’s my boyfriend’s birthday! I prayed especially for Mother Mary to heal his heart and to have faith in God and a little faith in me too. I got a rosary for him at the gift shop there and water from the grotto. It just so happened that the Deacon who said mass there that day, who blessed Tom’s rosary, is named Tom too! I pray for peace in the world, for healing and protection for my Mom, Tom, our families and to bless us with God’s answers to our prayers manifesting in our lives, our hopes, dreams and with true love in the way that’s pleasing to God. Thanks for this beautiful website and its encouragement to believe in the power of miracles. Thank you Philip, for utilizing your talents and reach to the people who need to know that prayers really are heard and that Divine mercy and healings are truly real! AMEN. When was the first outpouring, and what does that mean? Also can you ship water to us? Can I mix it and give it to my family who may not believe? In ice tea? Can we purchase the water please?..I have been to a few healing services, is it appropriate to walk up to strangers and recommend they visit the doctor or should I keep my mouth closed. Love the mission, thanks for your time. Kathryn PS: please pray for my children and grandchildren, some health issues. The first outpouring was Pentecost when the Holy Spirit appeared like tongues of fire and filled the apostles with the Holy Spirit. The second outpouring is referenced in the book of Joel. If you feel moved by the Holy Spirit to talk to strangers about Dr. Nemeh and share your experience and knowledge, then follow your instinct, it may be just what they need to hear. We’re here to help each other on this journey. Our thoughts and prayers are with you and your family, God bless you all. The Holy Water from Our Lady of Lourdes Shrine in Euclid can be ordered from the Shrine itself and they will be happy to mail it. Call 216-481-0900. Blessed Mother’s message said, no secrets, the person(s) consuming water must know what they are drinking. The sword of the Spirit is the Word of God (the Bible) as written in Ephesians 6:17 (which describes the spiritual armor that we as believers are to put on ).